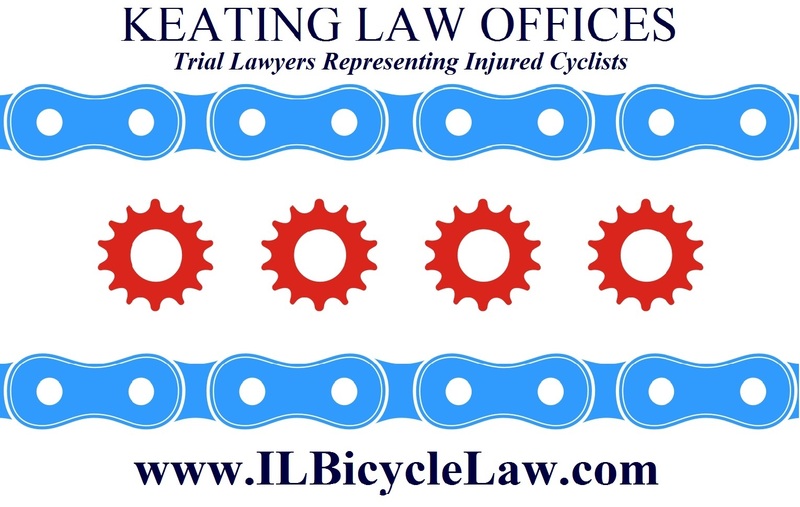 The Illinois Bicycle Lawyers at Keating Law Offices have secured another settlement on behalf of a Chicago bicyclist who was injured when he was struck by a vehicle on April 15, 2012. The injured Chicago bicyclist was riding westbound in the designated bike lane on West Roosevelt Road near its intersection with South Canal Street. The evidence in the case showed that the driver, who was traveling eastbound on Roosevelt Road, attempted to make a illegal left turn into a parking lot and struck the bicyclist. The left turn was in direct violation of a "NO LEFT TURN" sign posted at the location of the bicycle accident. As a result of the collision, the bicyclist was thrown off his bike to the street face first. 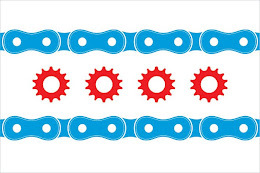 Although the Chicago bicyclist was wearing a helmet, he sustained numerous abrasions to the right side of his face. The bicyclist also sustained a left knee injury which caused him to experience pain for weeks following the crash. 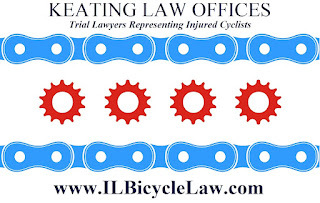 The Illinois Bicycle Attorneys were able to use the citation as part of the pre-trial negotiation strategy and managed to obtain a successful settlement for the Chicago bicyclist. As part of the settlement, the bicyclist was compensated for the value of his Cannondale road bike that was totaled in the crash.